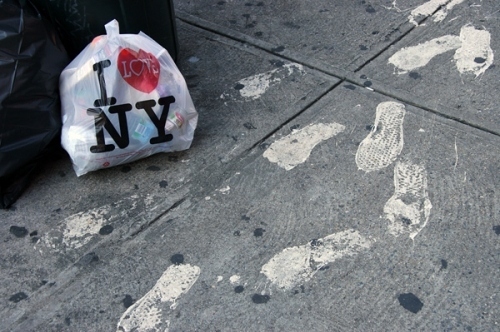 Rally to have NYC BAN PLASTIC BAGS! Ever since I started this company in 1989 and premiered the ECOBAGS® string bags™ at the 1990 Earth Day Celebration on 6th ave. in NYC I have been waiting for NYC to adopt a plastic bag ban – and am so thrilled that it seems this legislation is finally happening! – Sharon Rowe, Founder & CEO of Eco-Bags Products, Inc. Plastic bag bans have been sweeping the country in the past decade. In Hawaii each county has adopted it own ban on single-use plastics making it the first US State to ban single-use plastic bags statewide. And states such as California and Washington have many counties that have adopted regulations on single-use plastic. NYC, usually a trend-setter, is behind the times in adopting this ban – if we don’t adopt it now, when will we? The NYC Chapter of the Surfrider Foundation and the No Impact Project are hosting a rally on August 20th, 2013 at 11AM on the steps of city hall to show support for the legislation to reduce single-use plastic bags in NYC. This is a big step – and if you can make it, you should go! Sharon Rowe our CEO & Founder will be there showing her support and representing Eco-Bags Products, Inc. The legislation is being authored by Council Member Brad Lander of Brooklyn along with Margaret Chin of Manhattan. If the legislation is passed a fee of ten cents will be charged per paper or plastic bag when the customer does not bring their own. In a city as big as New York this legislation could mean a reduction in billions of single-use plastics every year. Make your voice heard – sign the petition & join us at the rally!